Desarrollado inicialmente sobre el chasis del carro IS. 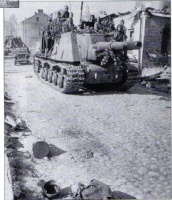 El ISU-152 fue concebido como reemplazo para el SU-152, el cual estaba basado en el chasis del KV-1. 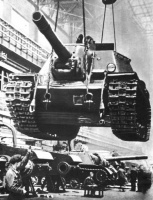 Un total de 4.635 vehículos fueron construidos a partir de noviembre de 1943 hasta junio de 1945. 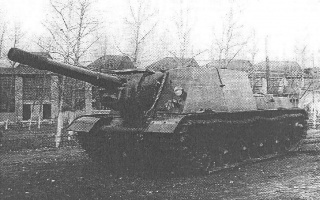 The ISU-152 is well-known for its 152mm BL-10 gun. 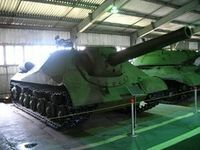 With its extreme alpha damage, as well as penetration that laughs at the armor of most tier 10 tanks, this is an exceptionally dangerous tank destroyer. The gun, of course, fires extremely slowly, is horribly inaccurate, and takes long to aim. 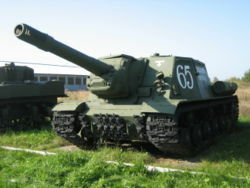 The tank is fairly fast in a straight line, but turns painfully slowly, and has very weak armor (however, it does have a very thick gun mantlet, so at times you will bounce some shots if lucky enough). It does, however, have a good camouflage rating, making it best for supporting its team from the second line. Very vulnerable to crew damage. Poor accuracy and terrible aim time. The mighty BL-10 makes you a threat that no tank can safely ignore, but the gun's own temperamental nature can severely limit your performance. 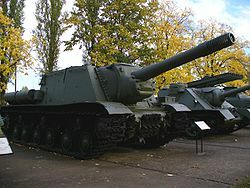 Accuracy, penetration, and damage dealt can all fluctuate wildly, and the same gun that nearly 3-shots a Maus one minute can and often will be completely missing TOG's at 100m, failing to penetrate scout tanks, and dishing out repeated sub-600 damage rolls the very next. Tricky, low-percentage shots are strongly discouraged, unless you have absolutely no other option. 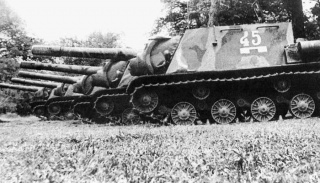 This is not to say, however, that the BL-10 is inaccurate. It can, if it chooses to, thread the most impossible shot imaginable with no effort at all if fully aimed. The BL-10 can be best described as 'moody' (or as least as much as a piece of digital code can be) without at any point sounding ironic, and it is entirely possible to have one game where nothing can stand before you, only to have a 10% hit rate the next. As for equipment, hands down get the Large Caliber Tank Gun Rammer and Improved Ventilation. 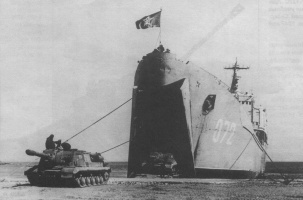 These two together increase your RoF by 15%, and with 100% crew, you'll be firing 25% faster than the advertised 3.37 RoF, which leads you to about 4.2 RoF, which is a shot every 14 seconds compared to a shot every 18 seconds. With those two equipment, you can fire an extra shot every 4 shots you fire. Finally, you can go for camo or coated optics/binoculars. If you load your commander with sixth sense, your driver with Off Road Driving, and the rest of the crew with camo, it is better to get coated optics or binoculars. 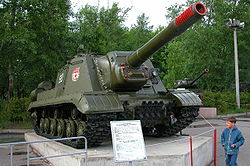 One of the biggest mistakes that many people make is to skip researching the 122 mm guns on the SU-152, as researching them both on the SU-152, a tier lower, will shorten the grind to BL-10, the gun that this tank NEEDS, from 103,500 exp to 63,500. Don't just go engine and ISU, it's a false economy, and it WILL hurt. 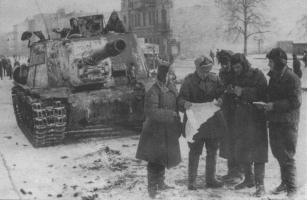 You should've gotten the radio on your SU-152 or KV-3, so install it immediately. Get the suspension. Alternatively, you can get Enhanced Torsion Bars to skip the suspension. Optionally, you can get the BL-9S to elite this tank.